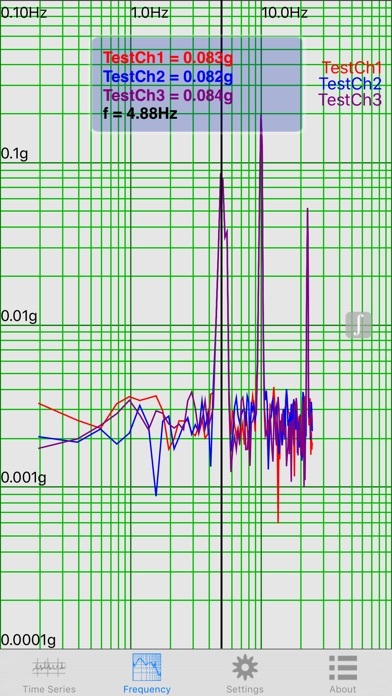 Vibration is a true vibration spectrum analyzer using the built in accelerometers and gyroscope inside the iPod Touch and the iPhone and starting with version 3.x it can sample the built in microphone and the Digiducer professional quality external USB accelerometer. It acquires and displays time series data, optionally removes DC bias, applies a Hamming window and performs an FFT on each channel to produce frequency spectra. The 3-channel accelerometer has a sensitivity of approximately 0.02g and a range of ±2g making the iPhone and iPod Touch sensitive enough to analyze the vibration of most moving machinery. In many applications Vibration can be an excellent portable alternative to a commercial spectrum analyzer. In predictive maintenance applications Vibration can help identify bearing defects, shaft misalignment, imbalance, and structural resonant frequencies. Vibration is also useful for monitoring the acceleration of part and material handling equipment. The software is flexible and easy to use. It was written to emulate the familiar oscilloscope based spectrum analyzer. Sample rate and sample delay are easily adjustable and the user can select the length of the data acquisition and the vertical scale used for the display. Once the settings are configured simply press the sample button on the device or on your Apple Watch. When a test is complete the resulting data can be emailed to your desktop computer for documentation purposes. • Sample the built in accelerometer or gyroscope, the internal Microphone or the professional Digiducer USB accelerometer. 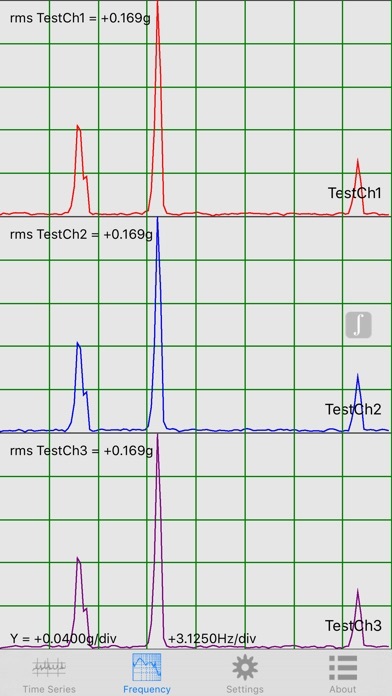 Additional Digiducer accelerometer features can be enabled via in-app purchase. 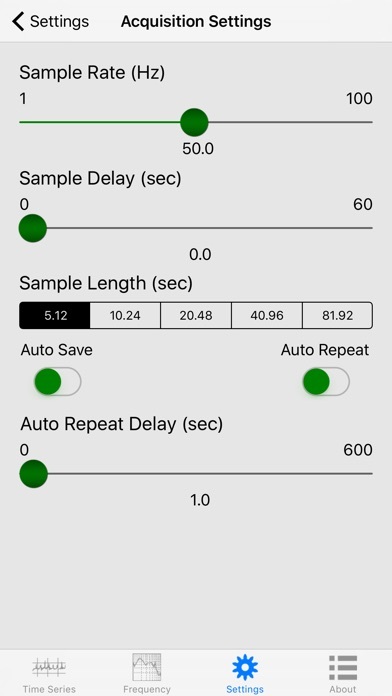 • Trigger sampling and review settings using the Apple Watch companion app. • Auto repeat and auto save allow data to be taken over extremely long periods of time. 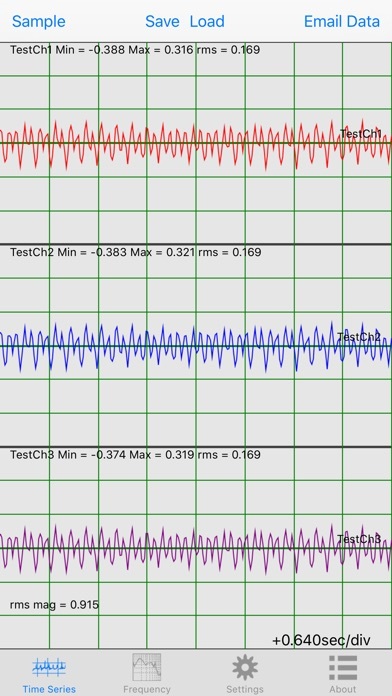 • Triggering off one or more accelerometer channels or microphone input. • Frequency data averaging and peak hold. Further development and additional features are planned. Please use the email links in the program to request new features and report any problems. The Developer Bruce Truax also wrote the apps listed below, click the icon to visit the pages. OpticsCalc is a handy optical calculator program for everyone from students to engineers who know optical theory, but would like a quick and efficient way to perform the calculations. OpticsCalc frees your mind from having to remember the equations and lets you concentrate on solving the problem at hand. With OpticsCalc, just select the type of calculation and enter the known values, it does the calculations for you. - Paraxial Thick Lens calculator.